Can you Buy Marijuana in Italy? →Can you Buy Marijuana in Italy? 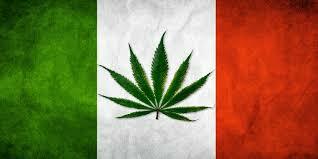 The relationship between marijuana and Italy has been having wild mood swings in recent years. In 2006, for example, the Italian government passed cannabis laws that were so stringent that penalties and punishment for the use and other activities related to marijuana were as heavy as those for the possession, use, and selling of “hard” drugs, such as cocaine. Fortunately, these unreasonably strict laws were deemed unconstitutional and consequently overturned by the Constitutional Court in 2014. In 2017, marijuana laws are relatively a lot more lax than before. However, they do remain a little more stringent in comparison with other European countries. Here are a few basics to remember when dealing with weed in Italy. It is still best to check laws right before traveling to this country or engaging in marijuana-related activities to make sure you have updated information. In the past, the Italian government had strict laws and penalties for those caught in possession of cannabis. It began in 2006 with the enforcement of the so-called Fini-Giovanardi law. This policy nearly completely erased the line that separated marijuana and other drugs, such as heroin, meth, and cocaine. In 2014, the laws that were in place before the notorious Fini-Giovanardi law were enforced again. Now, individuals caught in illegal possession of cannabis in Italy are generally able to get away with a warning. However, this understandably does not apply to minors and individuals under public guardianship who are suspected to be under orders. Selling cannabis in Italy remains mostly illegal in 2017. As mentioned, the potential charges and penalties are a lot later than before (and in comparison with those for “hard” drugs) but still relatively stricter than in many other European nations. If caught selling cannabis, you face 2 to 6 years of jail time and/or a fine of up to 75,000 euros. The country has slightly different considerations for medical marijuana, though. Cannabis imported from the Netherlands can be sold legally in Italy by authorized pharmacies. It is also worth noting that cannabis seeds and grows equipment can be sold legally in Italy, and most of the available supply is imported from the US, Spain, Canada, and the Netherlands. If you are a valid medical marijuana patient who has a prescription, you are free to buy your supply from select stores. These stores are pharmacies authorized to sell medical weed imported from the Netherlands and grown locally. However, the price of medical cannabis can be prohibitive. A gram can set you back by around 38 euros, which is more or less ten times the cost of the same amount of weed that you can illegally score in some shady alley in Italy. What you also need to know about buying cannabis in Italy is that its price can vary a lot depending on where you are buying it. For example, marijuana is much more expensive in Milan than in Pisa because weed is harder to source in Milan. This is why some residents prefer to just purchase cannabis online. Currently, only medical marijuana can be grown and used in Italy. If caught for the first time smoking pot for recreational use, it is considered an offense but you are let off with a warning. Meanwhile, if caught growing one cannabis plant for recreational purposes, you get to get away scot-free. It is a different story, though, if you are caught maintaining an entire grow room or farm of marijuana plants (again, recreational), you face stringent criminal sanctions. The penalties can be as heavy as those for outright drug trafficking and sale. As with other nations, these restrictions against the cultivation of recreational cannabis are only pushing a group of illegal marijuana farmers deeper underground. You can’t really blame these growers, considering the high cost of “legal” marijuana in Italy. The use, sale, and cultivation of medical marijuana in Italy is perfectly legal. As mentioned, pharmacies have to be authorized to sell it and patients have to be verified and obtain a valid prescription before they can procure their supply. In the beginning, the government was importing all of the country’s medical weed supply from the Netherlands. However, the prices were too high for most Italian patients. Therefore, the government decided to step in and finally began cultivating their own medical marijuana. In general, crops take 90 days from seed to harvest and to the final product. Current systems are able to produce a total harvest of more or less 100 lbs per year (The goal of the Ministry of Health is 220 lbs per year, which still is not enough according to patients.). These are grown and processed in a regulated pharmaceutical plant in Florence. Growers of medical cannabis in Italy are currently hard at work in producing various strains to address a wider range of illnesses. The best thing about this move by Italy is that it is bold and encourages the growing of marijuana locally. By doing this, albeit only for medical cannabis, Italy is setting a good example for other European countries. Many patients, recreational users, growers, and sellers of marijuana are hoping that the cultivation of cannabis in Italy will help speed up the acceptance and full legalization of weed in Europe. Italy has been on the verge of legalizing all use of cannabis for the past three years, gradually reducing the severity of criminal sanctions and penalties, taking one baby step at a time. A pending bill proposes to allow the recreational use of marijuana and let individuals establish clubs and possess seeds weighing up to 15 g, among others. Italians and the rest of Europe are closely watching Italy and waiting for its next move. Right now, over four million Italians already use cannabis on a daily basis, and over 70% of individuals in the country are hoping for a positive reform of existing marijuana laws.